Vega's Protein Smoothie is created with whole food ingredients like sprouted whole grain brown rice, pea, hemp and SaviSeed proteins that will give you 15 whole grams of protein as well as a balanced serving of amino acids. 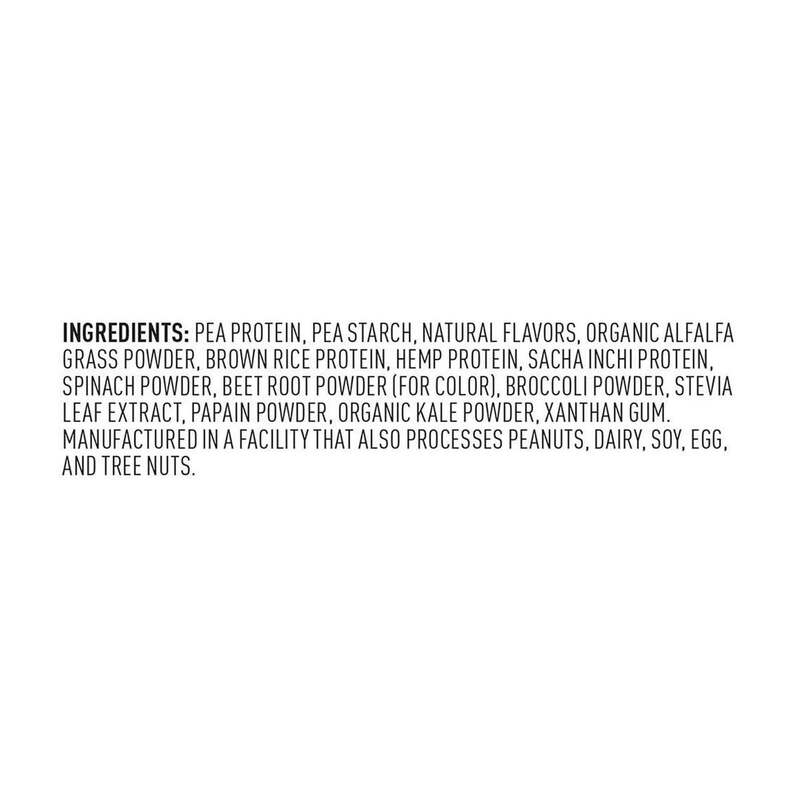 Notes: Free of dairy, gluten, soy and added sugar. Certified vegan. Gluten-free. Plant-based. 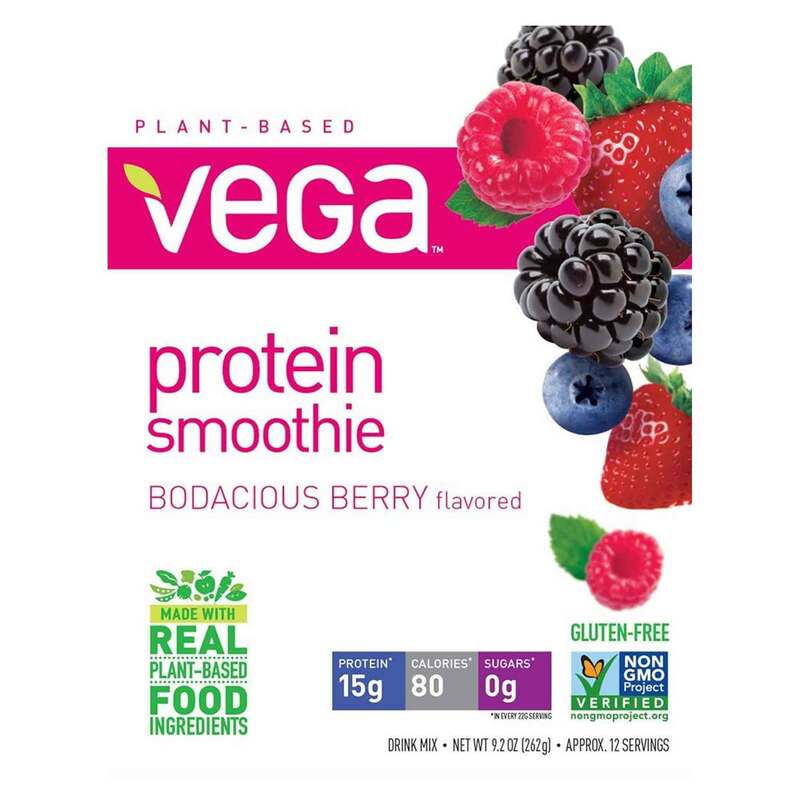 Recommended Use: Mix 1 scoop (0.78 oz) of Vega Protein Smoothie in 1 cup (8 fl oz) of ice-cold water, juice or non-dairy beverage, shake and go! 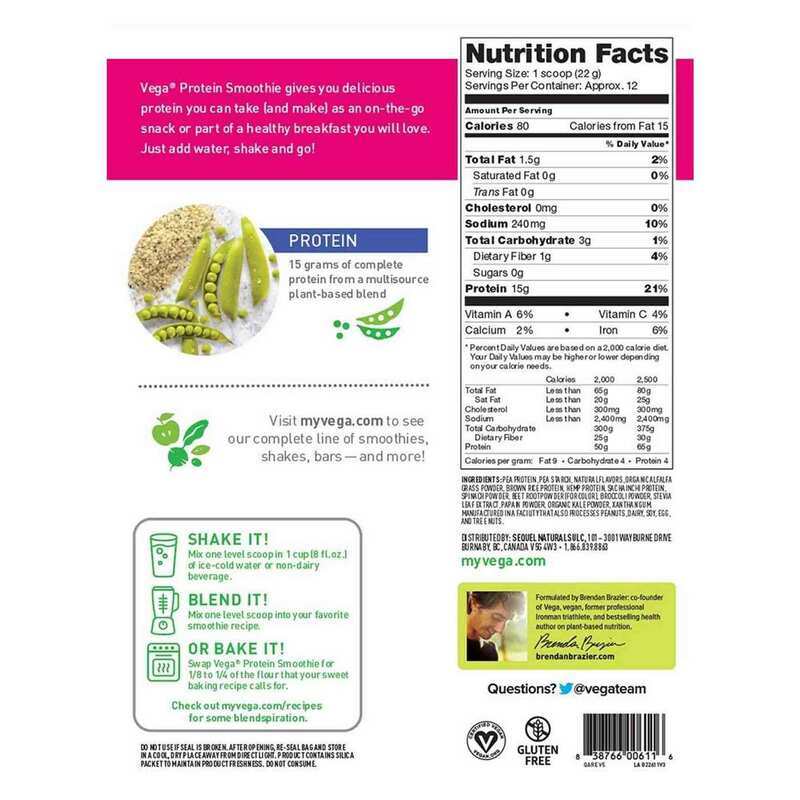 Take one or more servings a day as a snack or part of a healthy breakfast. 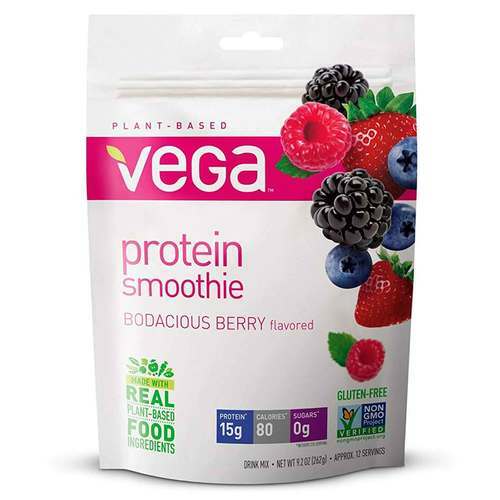 Vega Protein Smoothie is also a delicious, protein-boosting addition to your favorite smoothie recipe - blend and enjoy! 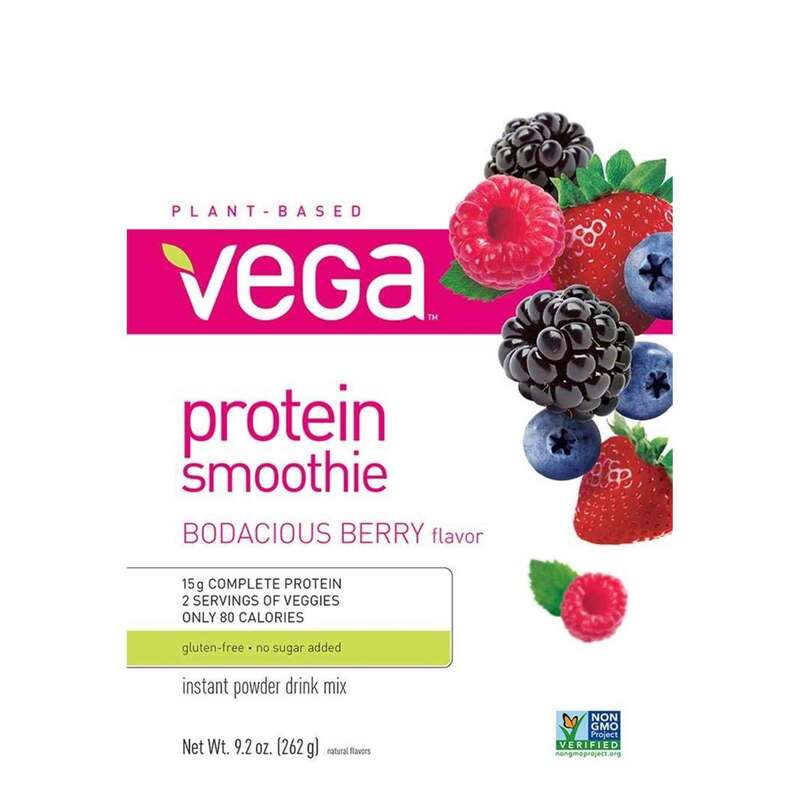 The customer reviews posted below are based on individual consumer experiences and may NOT necessarily represent what expected results will be from using or taking Vega Protein Smoothie Bodacious Berry - 9.2 oz. These results may not be typical and you should not necessarily expect to receive the same results. Actual results may vary. Easy to dilute in water and very tasty. It's even better when prepared with rice milk. Great product, easy dilution in very tasty water. It gets even better with vegetable milk from rice.